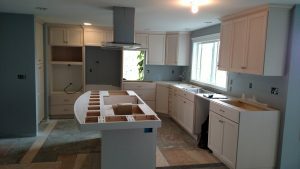 Here are some progress photos of a kitchen that we’re remodeling in Corvallis. Originally, this kitchen had a U-shaped design with outdated tile counters, laminate flooring, and 1950’s cabinets. This family was seeking a more functional kitchen that was inviting and open to the family room with plenty of light and windows to enhance their beautiful hillside views. This charming 1950’s home is full of character and the homeowner wanted the new design to reflect that. The homeowners longed for a modern kitchen with a reconfigured design to include a large island with cooktop. 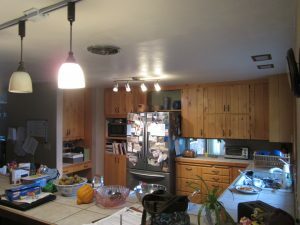 The original kitchen was of good size, which gave the designer plenty of room to play with and explore new options for the family. 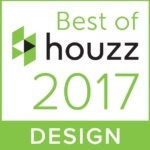 This design would increase the open feel of the home between the kitchen and the family room, which were currently being separated by the two tiered peninsula. New configuration with large island, new windows, enlarged opening into dining room, pantry where desk used to be. 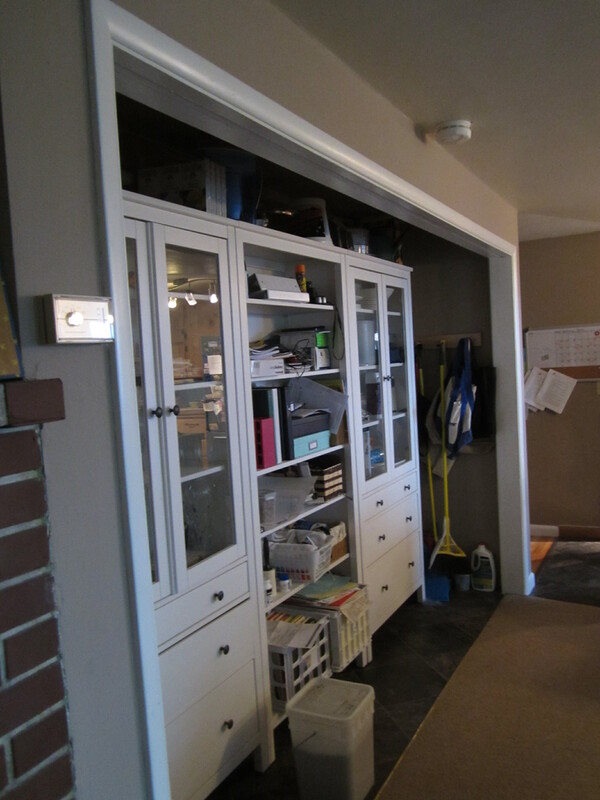 Next up, the homeowners desired improved storage for the family. 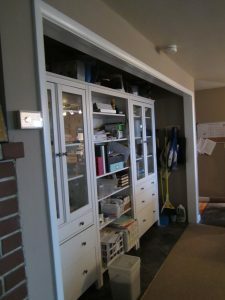 Originally, the family room adjacent to the kitchen had a large closet that was being used as storage, but the homeowner wanted a custom built-in for this unique space. Original cabinet that did not fit the space. 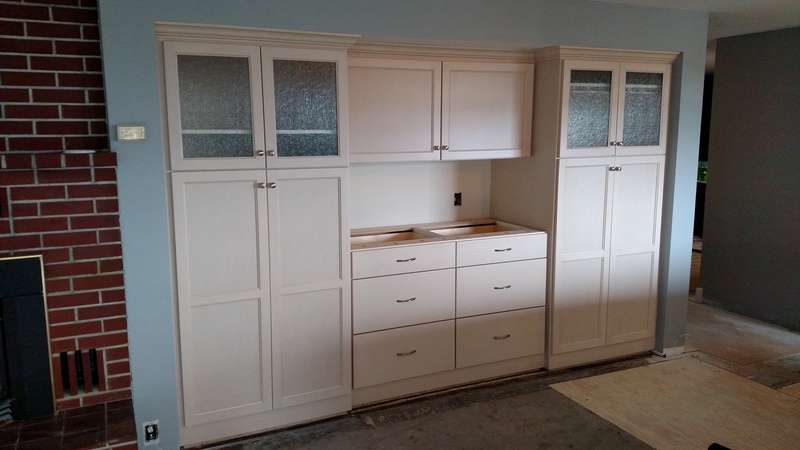 New custom maple cabinetry that matches kitchen to add additional storage and tie both rooms together.